A law firm whose clients were unaware of the true cost of their conveyancing after being reeled in with low quotes did not take unfair advantage of them, the High Court has ruled. However, the court said that the fines imposed by the Solicitors Disciplinary Tribunal (SDT) were not high enough to reflect what had happened. 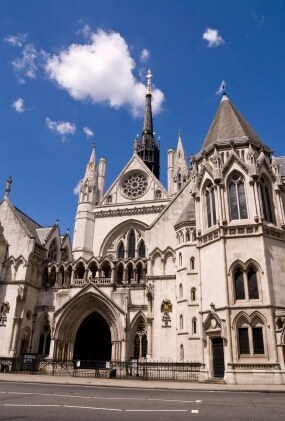 Lord Justice Treacy said the “long-term and significant breaches” of Solicitors Regulation Authority (SRA) rules caused loss to many clients, and “represented a course of conduct which could only compromise the reputation of the profession for fair dealing”. However, in Solicitors Regulation Authority v Anderson Solicitors & Ors  EWHC 4021 (Admin), both the SDT and the High Court accepted that the firm and five solicitors had not set out to deliberately cheat clients, and had not acted with a lack of integrity. The Croydon-based firm provided initial costs information by e-mail, giving the headline quote in two documents, and then posted terms and conditions and a client care code as well. The SDT fined each solicitor £1,000 and made a costs order against them of £80,000. The SDT said the solicitors believed their costs information was comprehensive and transparent, although they had failed to consider the matter from the clients’ perspective. The court dismissed the SRA’s appeal that the tribunal should have found the solicitors in breach of the old rule 10 that prohibited the use of a solicitor’s position to take advantage of another. Treacy J said this must involve “an element of consciously taking unfair advantage” that was not present here. He noted that while rule 10 required a subjective element, outcome O(1.1) in the current code of conduct, which demands fair treatment of clients as an outcome of solicitors’ work, is objectively based. Criticising the “sparse reasoning” provided by the SDT in coming to the level of fine, the judge said “there must be a significant increase to mark the nature of this offending”. The “significant benefit” that the solicitors must have derived from “their misleading scheme and overcharging of their clients… can only serve to raise the gravity of the offences”, he added. Subject to an SDT hearing on the solicitors’ ability to pay, he upped the fine to £15,000 for the firm’s sole equity partner, and £5,000 for the other four. That tribunal will also be asked to reconsider the costs award, again because of the lack of reasons provided. The ruling came shortly before Christmas. Andersons (though called ‘Anderson’ in the High Court ruling) is on the SRA list of firms that failed to secure insurance this year. ‘…although they had failed to consider the matter from the clients’ perspective’. And there you have everything that’s wrong with the legal profession.